National Museum of Wildlife Art and Mangelsen Images of Nature are good opportunities to explore the local culture. Get in touch with nature at Grand Teton and Amphitheater Lake. Explore the numerous day-trip ideas around Jackson Hole: Grand Targhee Ski Resort (in Alta) and Chapel of the Transfiguration (in Moose). And it doesn't end there: see the interesting displays at Murie Centre, take in the views from Snake River Bridge, contemplate the waterfront views at Leigh Lake, and shop like a local with The Brookover Gallery. To find maps, ratings, traveler tips, and other tourist information, go to the Jackson Hole trip itinerary tool . Milan, Italy to Jackson Hole is an approximately 18.5-hour flight. You can also do a combination of train and flight; or do a combination of flight and shuttle. You'll gain 8 hours traveling from Milan to Jackson Hole due to the time zone difference. While traveling from Milan, expect a bit cooler days and cooler nights in Jackson Hole, ranging from highs of 0°C to lows of -12°C. Cap off your sightseeing on the 18th (Mon) early enough to go by car to Yellowstone National Park. Your cultural itinerary includes sights like Fort Yellowstone Historic District and S Rim Trail. Get outdoors at Grand Canyon of the Yellowstone and Beaver Ponds Loop Trail. 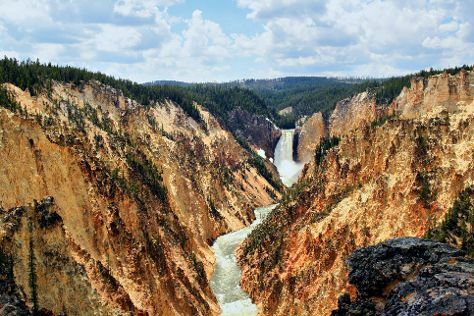 Spend the 23rd (Sat) exploring nature at Yellowstone National Park. The adventure continues: take in the natural beauty of Old Faithful, explore the wealth of natural beauty at Aurum Geyser, contemplate the geological forces at Monument Geyser Basin, and tour the pleasant surroundings at Osprey Falls Trail. To find ratings, reviews, photos, and tourist information, read Yellowstone National Park trip maker app . Drive from Jackson Hole to Yellowstone National Park in 2 hours. Traveling from Jackson Hole in February, Yellowstone National Park is little chillier at night with lows of -18°C. Cap off your sightseeing on the 25th (Mon) early enough to go by car to Cody. Take a break from the city and head to Historic Cody Mural and Museum and Shoshone National Forest. Get some cultural insight at Buffalo Bill Center of the West and Meeteetse Museums. Take a break from Cody with a short trip to Kirwin Ghost Town in Meeteetse, about 58 minutes away. There's still lots to do: get engrossed in the history at Heart Mountain Interpretive Center, see the interesting displays at Homesteader Museum, admire the masterpieces at Whitney Gallery, and look for gifts at Cowtown Candy Company. To see other places to visit, where to stay, reviews, and other tourist information, go to the Cody trip planner . Getting from Yellowstone National Park to Cody by car takes about 2.5 hours. Plan for a bit warmer temperatures traveling from Yellowstone National Park in February, with highs in Cody at 3°C and lows at -9°C. Finish up your sightseeing early on the 1st (Fri) so you can go by car to Thermopolis. Thermopolis is the largest town in, and the county seat of Hot Springs County, Wyoming, United States. Kick off your visit on the 2nd (Sat): take an in-depth tour of Hot Springs County Museum, witness a stunning natural landmark at Hot Springs State Park, and then have fun and explore at Wyoming Dinosaur Center. To see where to stay, ratings, traveler tips, and other tourist information, read Thermopolis trip planner. Drive from Cody to Thermopolis in 1.5 hours. Expect a bit cooler weather when traveling from Cody in March: highs in Thermopolis hover around 3°C, while lows dip to -4°C. Cap off your sightseeing on the 2nd (Sat) early enough to travel to Sheridan. Sheridan is a city in Sheridan County, Wyoming, United States. On the 3rd (Sun), admire the masterpieces at The Brinton Museum, view the masterpieces at Gallery on Main, then admire the majestic nature at Trail End State Historic Site, and finally get engrossed in the history at King's Saddlery and Museum. To find traveler tips and other tourist information, read our Sheridan travel route planning tool . Traveling by car from Thermopolis to Sheridan takes 3 hours. When traveling from Thermopolis in March, plan for a bit warmer days in Sheridan, with highs around 11°C, while nights are about the same with lows around -5°C. Finish your sightseeing early on the 3rd (Sun) to allow enough time to travel to Devils Tower. Kick off your visit on the 4th (Mon): admire the masterpieces at Rogue's Gallery, then examine the collection at Hulett Museum, then contemplate the geological forces at Devils Tower National Monument, and finally pause for some photo ops at Wind Circles. To find maps, traveler tips, more things to do, and more tourist information, read our Devils Tower driving holiday planner . You can drive from Sheridan to Devils Tower in 2.5 hours. In March in Devils Tower, expect temperatures between 11°C during the day and -3°C at night. Wrap up your sightseeing on the 4th (Mon) early enough to travel to Casper. Casper is a city in and the county seat of Natrona County, Wyoming, United States. Kick off your visit on the 5th (Tue): take an in-depth tour of National Historic Trails Interpretive Center, then take an in-depth tour of Wyoming Veterans Memorial Museum, then contemplate the long history of Fort Caspar Museum and Historic Site, and finally browse the collection at Natrona County Public Library. Keep things going the next day: stroll through Platte River Trails, examine the collection at Werner Wildlife Museum, then see the interesting displays at Tate Geological Museum, then admire the masterpieces at Nicolaysen Art Museum, and finally see the interesting displays at The Bishop House. To find ratings, traveler tips, other places to visit, and tourist information, read Casper tour planner. Getting from Devils Tower to Casper by car takes about 3 hours. In March in Casper, expect temperatures between 12°C during the day and -5°C at night. Wrap up your sightseeing on the 6th (Wed) early enough to travel to Laramie. Laramie is a city and the county seat of Albany County, Wyoming, United States. 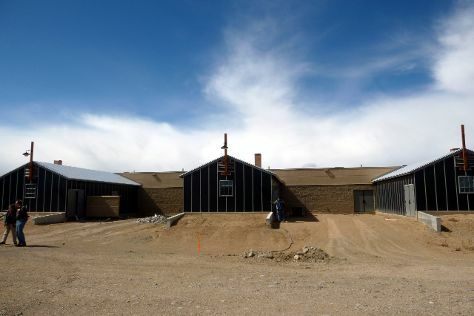 Do some cultural sightseeing at Nici Self Historical Museum and Laramie Plains Museum. Take a break from the city and head to Snowy Range Ski Area and Medicine Bow National Forest. Go for a jaunt from Laramie to Centennial to see Country Junction about 36 minutes away. 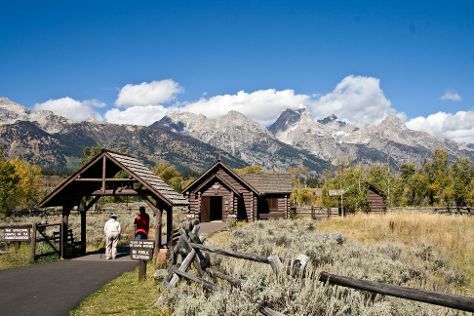 There's still lots to do: get engrossed in the history at American Heritage Center, steep yourself in history at Wyoming Territorial Prison State Historic Site, explore the world behind art at University of Wyoming Art Museum, and enjoy breathtaking views from Spruce Mountain Fire Lookout Tower. To find out how to plan a trip to Laramie, use our trip itinerary maker. Getting from Casper to Laramie by car takes about 2.5 hours. While traveling from Casper, expect a bit cooler days and about the same nights in Laramie, ranging from highs of 9°C to lows of -7°C. Wrap up your sightseeing on the 9th (Sat) to allow time to travel to Cheyenne. Cheyenne is the capital and most populous city of the US state of Wyoming and the county seat of Laramie County. On the 10th (Sun), take an in-depth tour of Warren Icbm and Heritage Museum, take an in-depth tour of Cheyenne Frontier Days Old West Museum, then contemplate the long history of Historic Governors' Mansion, and finally head outdoors with Paul Smith Children's Village. On the next day, have fun and explore at Wyoming State Museum, then take an in-depth tour of Nelson Museum of the West, then examine the collection at Messenger's Old West Museum, and finally stroll the grounds of Lakeview Cemetery. To see reviews, traveler tips, other places to visit, and more tourist information, read Cheyenne trip itinerary planning website . Drive from Laramie to Cheyenne in an hour. In March in Cheyenne, expect temperatures between 12°C during the day and -3°C at night. Finish up your sightseeing early on the 11th (Mon) so you can travel back home.